Please watch the video below to see it in action. 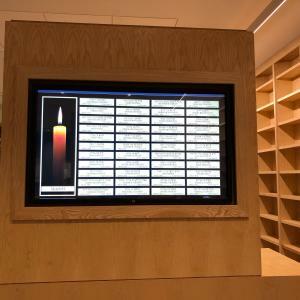 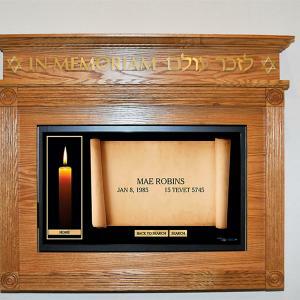 42" digital interactive yahrzeit system encased into oak cabinet. 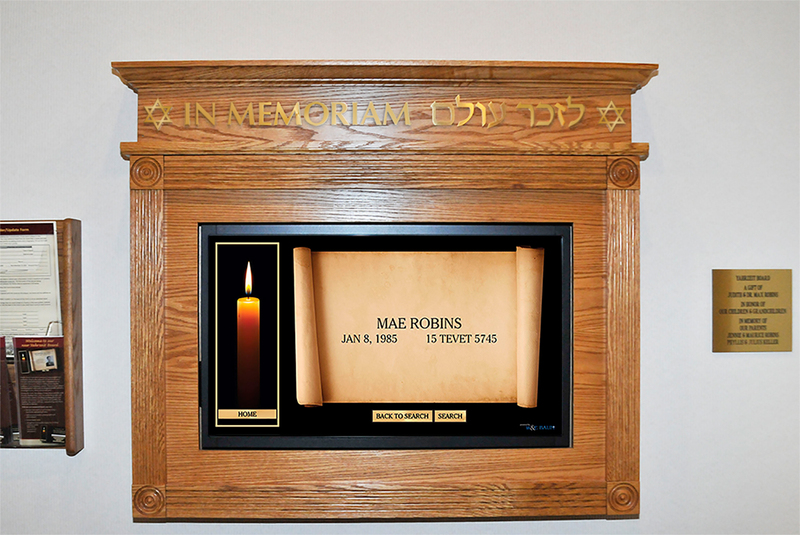 42" digital interactive memorial display encased in a 4” deep cherry veneer wood unit. 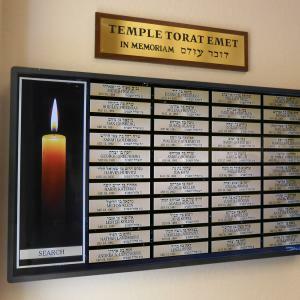 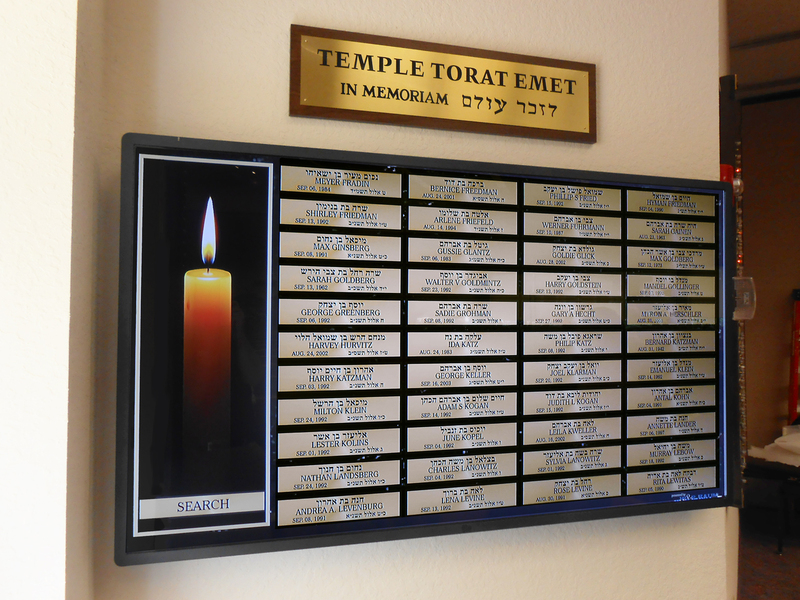 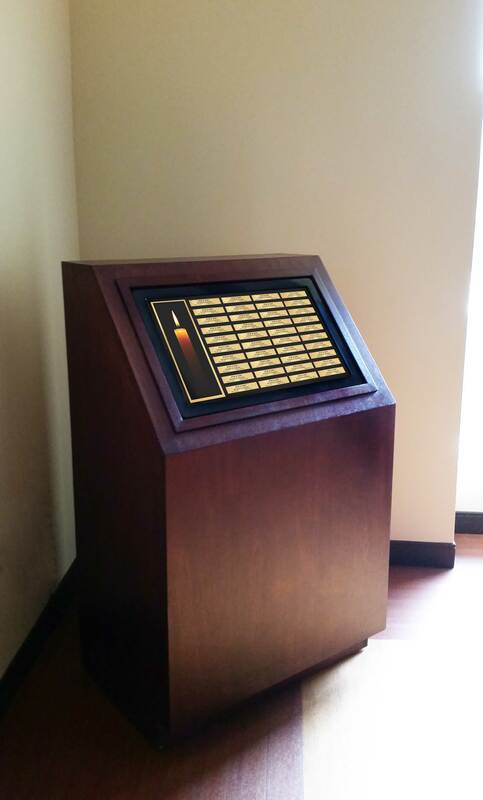 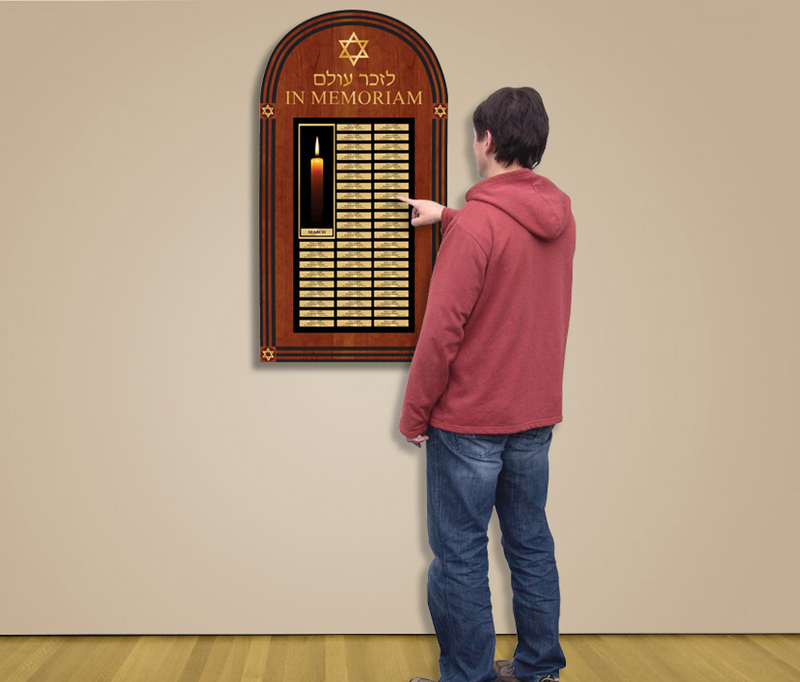 42" interactive yahrzeit memorial system mounted to 5" deep mahogany wood unit with brass title letters. 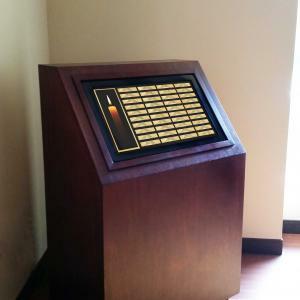 55" Touchscreen interactive Yahrziet system, encased in an Oak wood frame stained Mahogany with Individual Brass Letters. 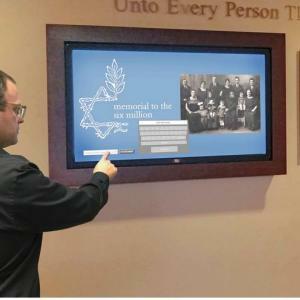 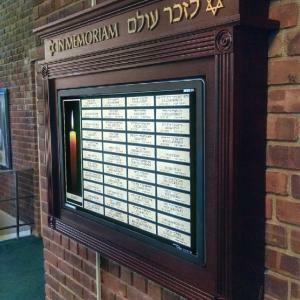 For nearly 100 years, W&E Baum has offered the latest in Yahrzeit Memorial Board design and operation to benefit synagogues and their congregates. 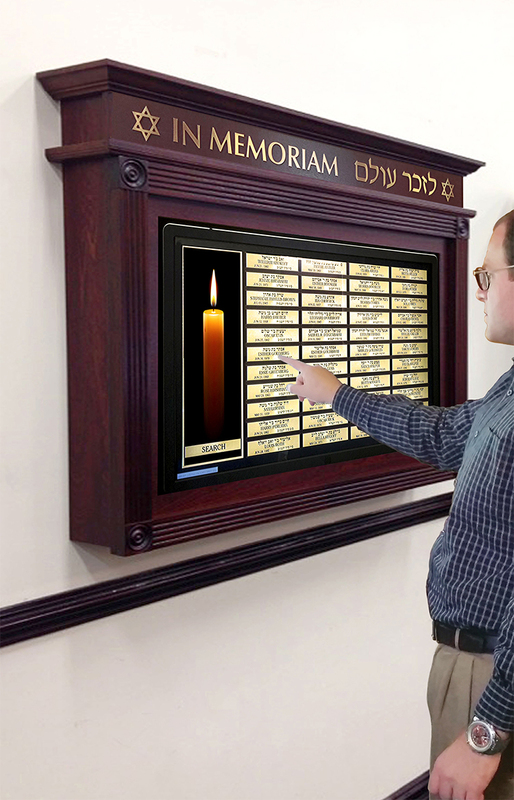 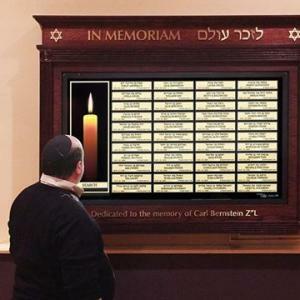 Now, W&E Baum is pleased to announce the latest evolution in a state-of-the-art Interactive Yahrzeit Memorial Board. 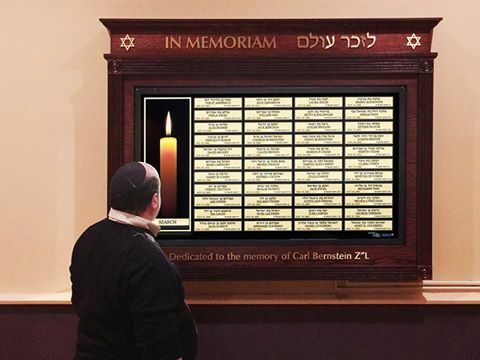 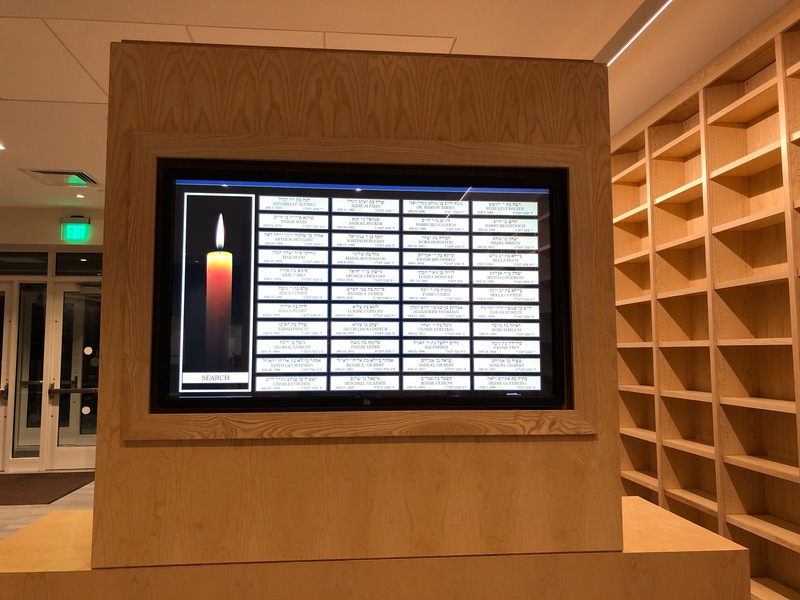 Click here to view the Interactive Yahrzeit Memorial Board Gallery. 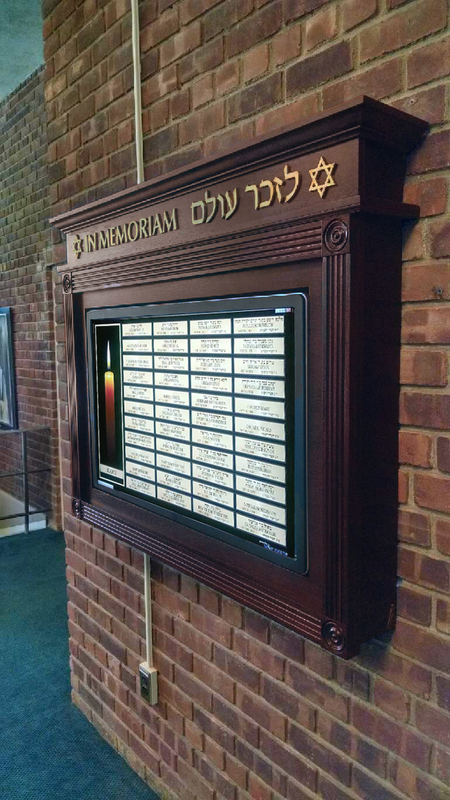 Conveniently updated and maintained from the comfort of the synagogue office using a web-based management system. 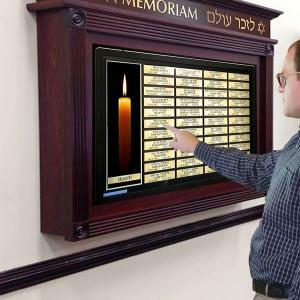 Option to disable touch function for Shabbat and holidays.